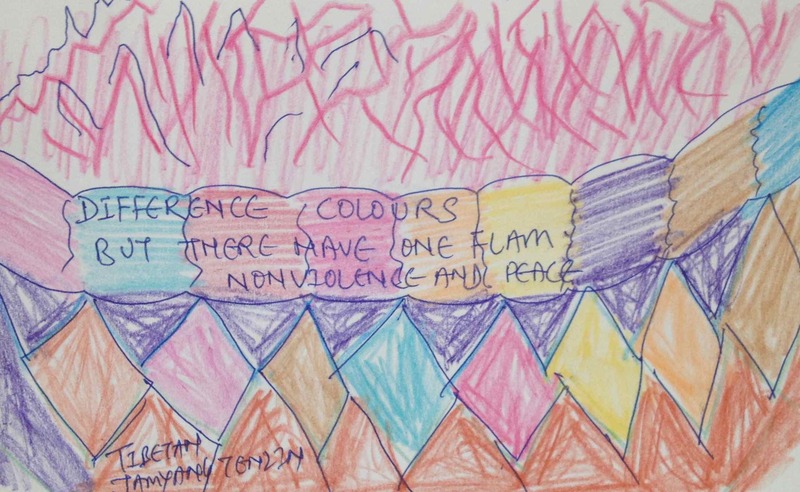 The Center for Nonviolence & Peace Studies is proud to sponsor a unique art exhibit – Peace Postcards. 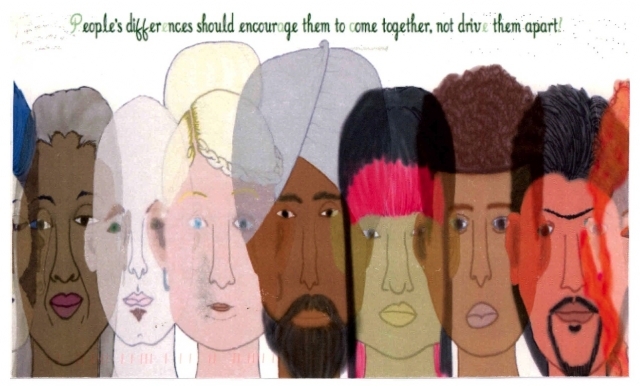 Fifty-two large pictures that contain multiple original peace postcards created by people from countries all over the world will hang in the URI Multicultural Center Forum over the Day of Peace week in September through Thanksgiving, 2014. 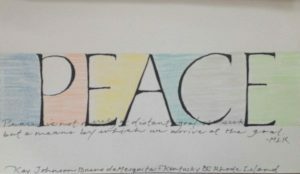 “Peace Postcards” is a public art project that invites people of all ages and talents to express their vision of peace and share it with the world on the Peace Postcard Website and in traveling exhibits. 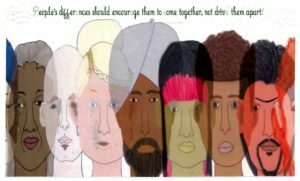 The goal of Peace Postcards is to encourage people to think about peace and what it means for the future of the world. 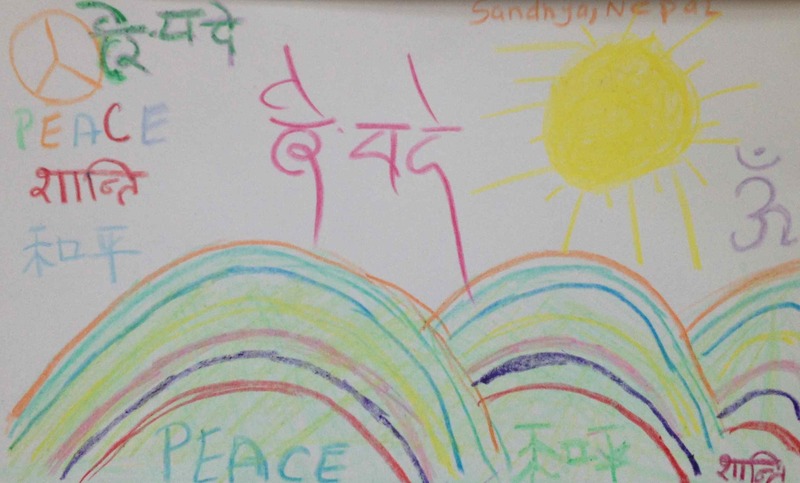 Peace Postcards is a program of Interfaith Paths to Peace, a not-for-profit organization in Louisville, Kentucky, whose mission is to foster peace by increasing interfaith understanding. Peace Postcards was founded by Allan Weiss in December, 2008. At a young age, Allan’s parents taught him that each of us has an obligation to help heal the world. This guidance, along with his interest in folk art, inspired him to start Peace Postcards. 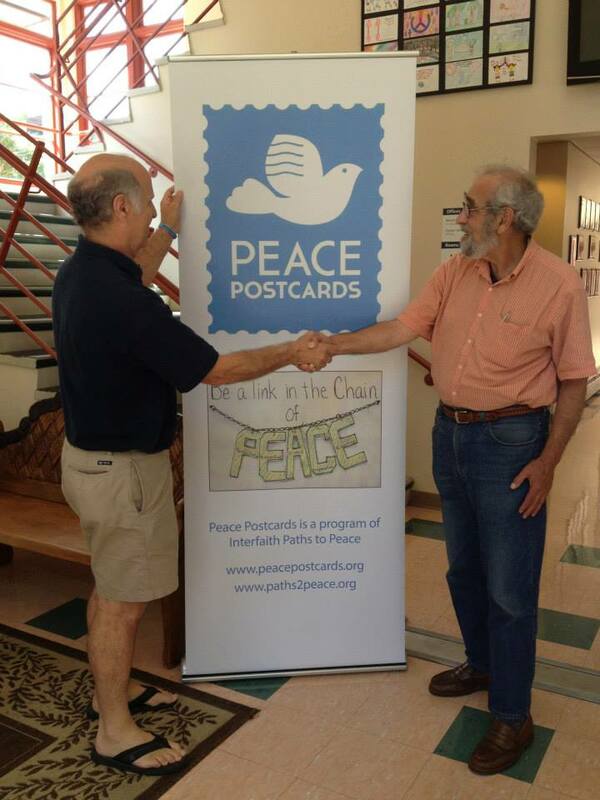 To date they have received more than 20,000 Peace Postcards from the United States and 25 other nations. Use the back of the postcard as a canvas to draw, paint, sketch, make a collage, write or do whatever you want to show what peace means to you. Email or mail the card to us and we will display it in the Postcard Gallery on our web site. Some cards will be shown in Peace Postcard exhibitions. Anyone interested can participate. Be an advocate for peace! Click here for more pictures of the exhibit.